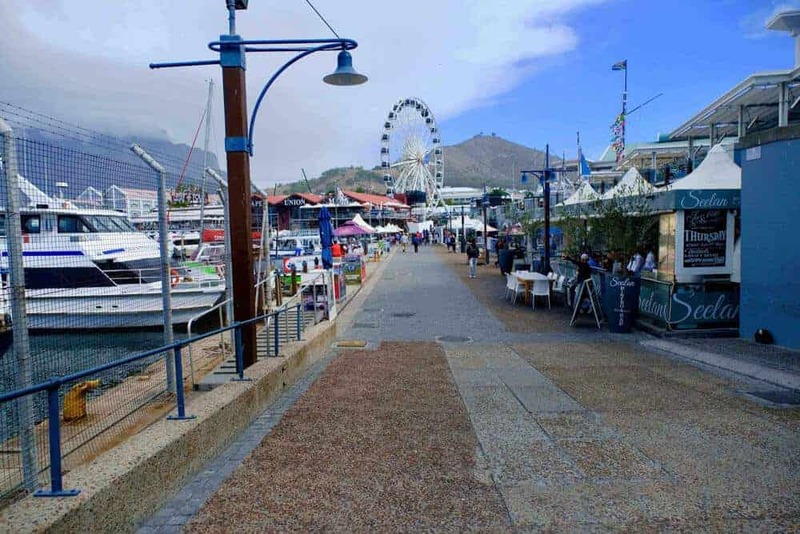 a) The V&A Waterfront hosts a collection of markets, a mall, an aquarium and fancy restaurants to enjoy the harbor. Easily accessibly from town, a.k.a the ‘city bowl’/CBD. b) In the heart of town, Long St. and Bree St. are teeming with drool-worthy restaurants and bars. So is the neighboring residential Tamboerskloof/Kloof nek/ upper Kloof (just up the hill from Long St., and more laid-back). However, there is so much more in its surrounding suburbs you can also visit. 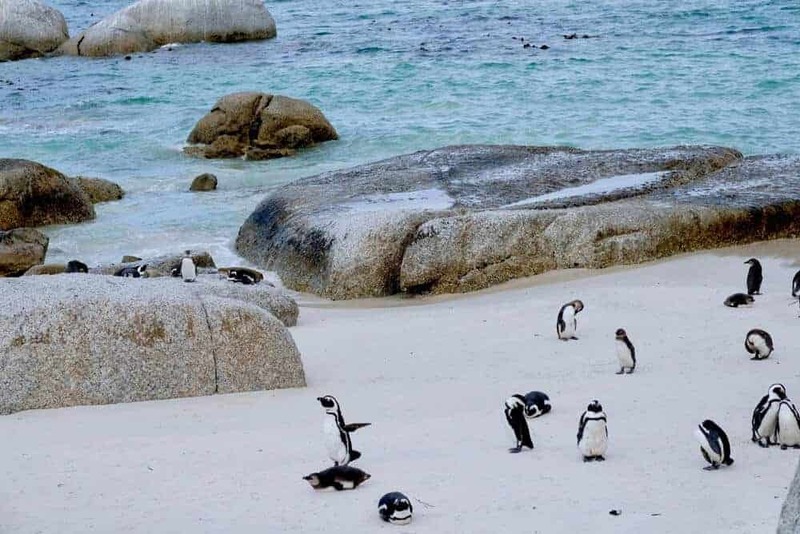 c) Meet the penguins in Boulders Beach, Simonstown! 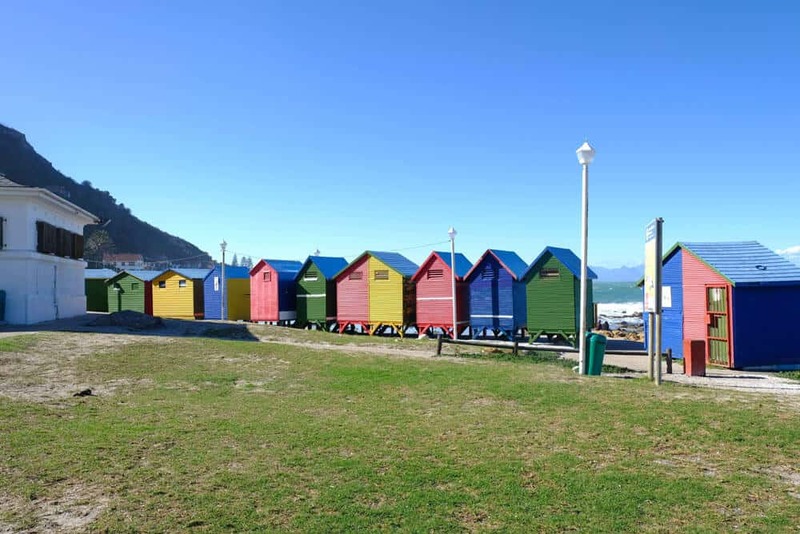 On your way there, you might pass through Kalk Bay, St. James Beach and Muizenberg. 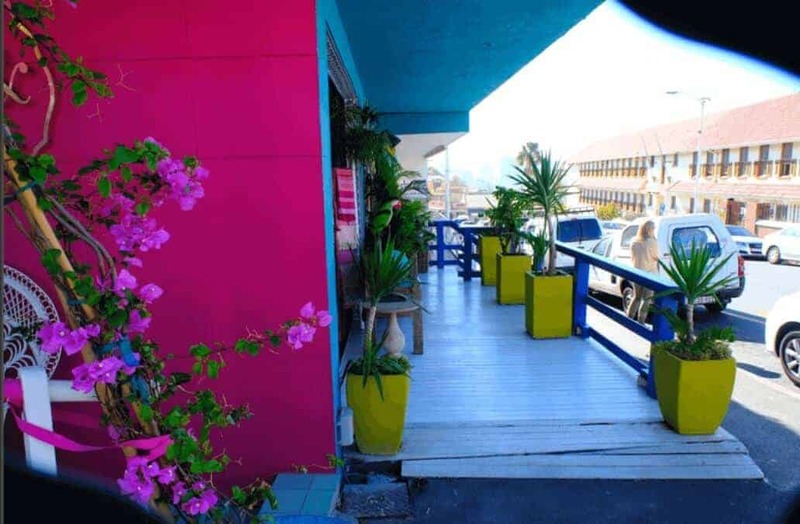 For a great local vibe go to Muizey. This is a surfer’s hot spot (despite the great white sharks) and a community-based beach. d) Hike up the Kirstenbosch Botanical Garden. You’ll find lots of awesome flora, topped off with an amazing waterfall. In summers, Kirstenbosch music festivals light up the garden! Table Mountain, Lion’s Head, Devil’s Peak are also amazing hiking trails leading up to picturesque vantage points. e) Chapmans Peak Drive: rated as one of the world’s most beautiful drives. The scenic drive on the cliffside winds up at the peak where you see the wondrous sea on one side and the mountain on the other. This is a prime example of how Cape Town embodies such divergent naturescapes. 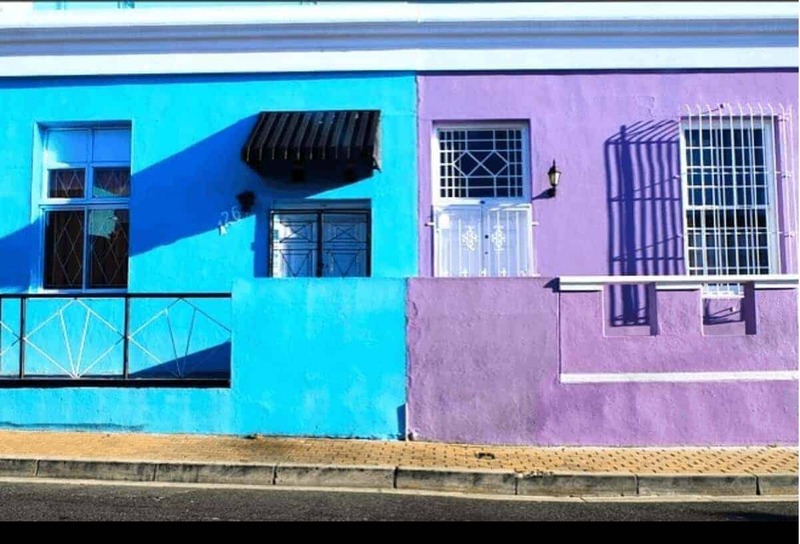 f) Bo Kaap/Cape Malay Quarter: Iconic photoshoot stop that actually warrants more attention than just the popping colors of its houses. There’s a historical backdrop regarding what such communities went through in South Africa’s not-so-long-ago past. The museum can help you have some insight. Though food stands at the Old Biscuit Mill showcase an international variety, many vendors are locally based. Of similar vibes, Mojo Market is a venue teeming with stalls of international and local cuisine – plus ample spaces to sit down, chow, drink and enjoy the free live music. Cape Town is a diverse mix of ethnicities and cultures so you won’t find a cuisine that qualifies as “standard South African.” However, the Cape Malay (some of Cape Town’s earliest inhabitants) have their own, distinct cuisine. Commercialised restaurants from them are difficult to find, though. As per the city’s nickname Slaapstad (meaning ‘sleepy city’), nature-loving Capetonians love to wind down at beautiful vantage points. For sundowners, Signal Hill is a great lookout point, as is the Sea Point Promenade to stroll alongside the sunset. The aforementioned Kirstenbosch Garden lights up with music festivals in the summer. In South Africa, ‘braai’ denotes ‘barbeque.’ Braaing meat as a family occasion is a common on weekends. In these outdoor picnic/braai spots, a braai can be feasible even for tourists. This category can be a very fluid one. If you feel lost and in need of specific suggestions, consulting a local source might just be your best bet. Reach out to trustworthy sources for instant answers via Talk Travel App. Because South Africa is still recovering from the aftereffects of the apartheid, Cape Town remains spatially segregated and heavily bipolarized. While many tourists take up the impression that Cape Town is like any other first world country, the city’s infrastructural shortcomings, lack of advancements and still-latent segregation (i.e., in poverty-ridden townships and ghettos, hearing multiple gunshots per day is the norm) prevents that from being a reality. With sufficient finances to stay in nice areas, Cape Town rarely feels dangerous. Still, potential residents might want to educate themselves on certain parts of it, to know when and where to beware. A safe and borderline posh neighborhood to live in would be Camps Bay/Clifton. 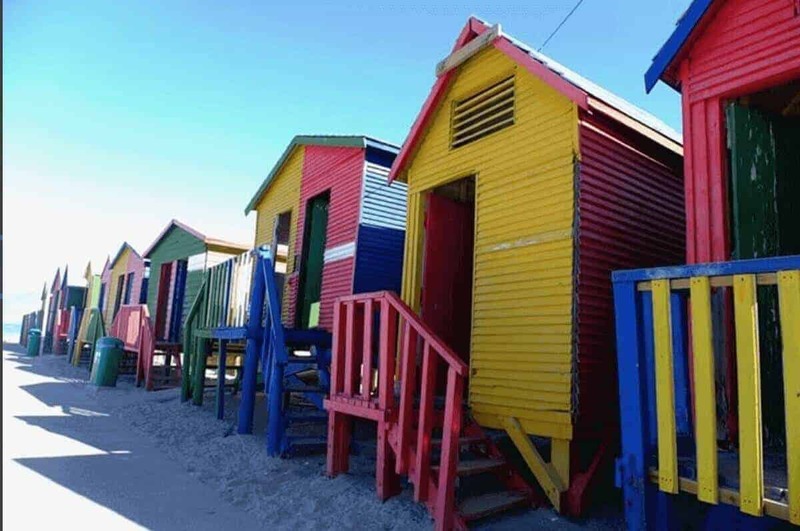 Property is pricey, in return for being the closest to Cape Town’s most popular beaches. Constantia and Tokai (suburbs adjacent to one another, close to Muizenberg beach) are fairly safe regions priced more moderately, but still fairly costly. The perks of staying in these regions are their many wine farms and naturescape. For those seeking not so much luxury as to ensure basic safety: Bergvliet, Meadowridge, upper Plumstead and Wynberg are more affordable choices. If raising children is a concern, Wynberg has stellar private schools. For even cheaper deals, look around Obz and Rondebosch (mostly student neighborhoods, being near UCT). They’re situated closer to town than the abovementioned suburbs, so for a frequent city-goer, these regions are convenient. If you’re keen to stay in town but concerned about the safety, get to upper Kloof St. to Kloof nek/ the Tamboerskloof neighborhood. Very cozy, upscale and peaceful. 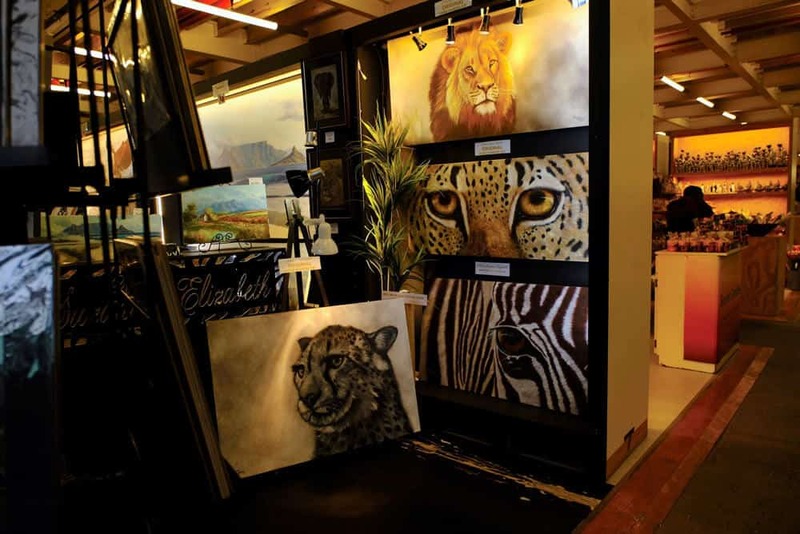 Shops on Upper Kloof St.
To venture out of town and to where the wilderness reigns (relatively speaking), renting a car is the best option. But if mostly staying closer to the city bowl area and barely venturing to its outskirts, Uber and Taxify (South African, cheaper version of Uber) might suffice. Remember that the CBD/city area (referred to by its residents as ‘Cape Town’) is quite small, so most trips within and even to many other suburbs aren’t a long drive away. MyCiTi buses aren’t widely utilized by locals, even though they hit up many frequented places and neighborhoods. Regardless, there’s more appreciation for these buses’ services than other modes of public transport, as of yet. Though not always reliable for timeliness, once one learns the bus system, timings and routes, it’s not a difficult mode of transport to navigate the city on. Taking the minibus/shuttle taxis can be chaotic, but will offer you one-of-an-experience (for either good or bad) at minimal price. Not recommended, as neither comfort nor safety will be satisfied. The safety of trains are controversial. Some say that they’re fine during the day; others warn to stay away from them at all times. The best general advice for temporary visitors would be to stay from train stations, main roads and taxi stations (which are used heavily by the underclassed population who’d gladly take advantage of tourists or any other ‘outsider’, for that matter). Talk to a local to give you solid pointers on how to act local, and master the rules of the place. Download and get on Talk Travel App to start doing that now. Stellenbosch is slightly less than an hour away via car from Cape Town and notable for strawberry picking, wine farms (wine tasting and tours). 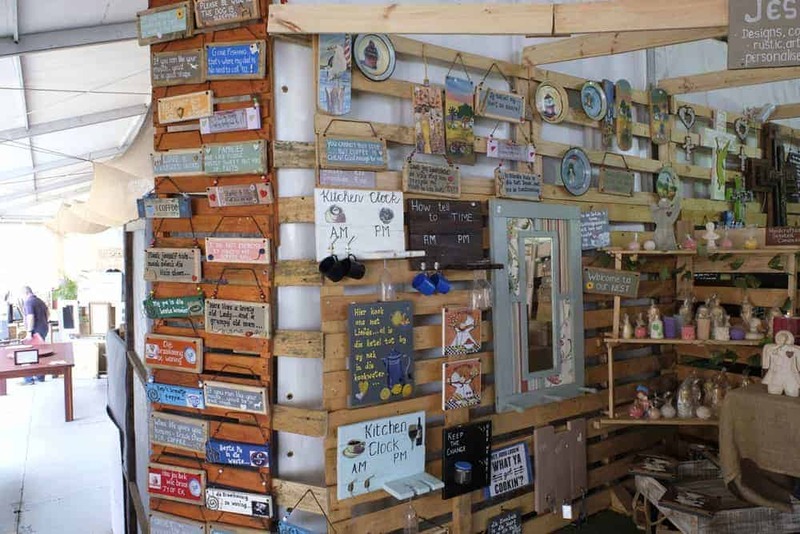 Root 44 is a local arts, crafts and foods market to spend half a day on a weekend. Hermanus, about 2 hours’ drive from Cape Town, is listed (by the World Wildlife Fund) as a top 12 of the world’s whale watching sites. About an hour and a half away from Cape Town, Franschhoek where farms, museums plus other activities constitute a nice mix of laid-back activities. Unless you make an effort to get to the Cape Flats, Mitchell’s Plain, or other lesser-known regions or wander at night on foot, you’d generally be fine. Like most other parts of South Africa, situation awareness is key. Pay attention to your surroundings. 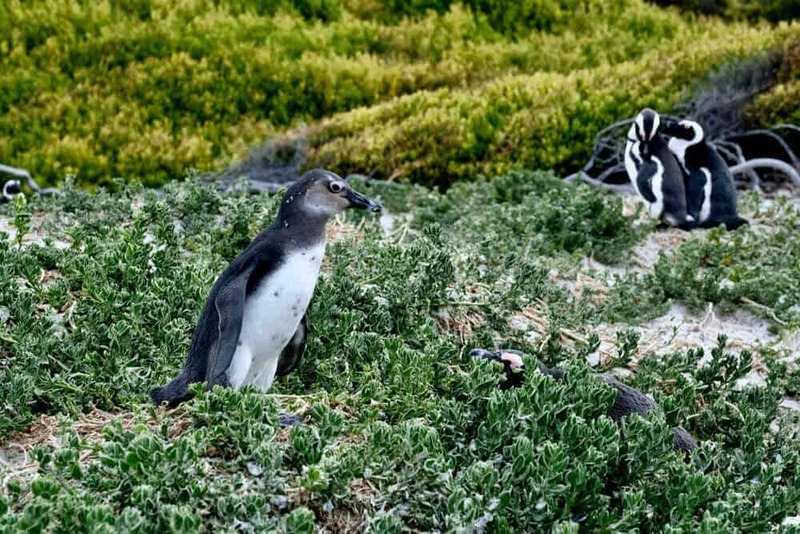 In Hout Bay, the World of Birds Wildlife Sanctuary and Monkey Park and Earthworx Garden World (in which the Enchanted Forest is an oft-cited highlight) are organic, nature-friendly kids’ zones. 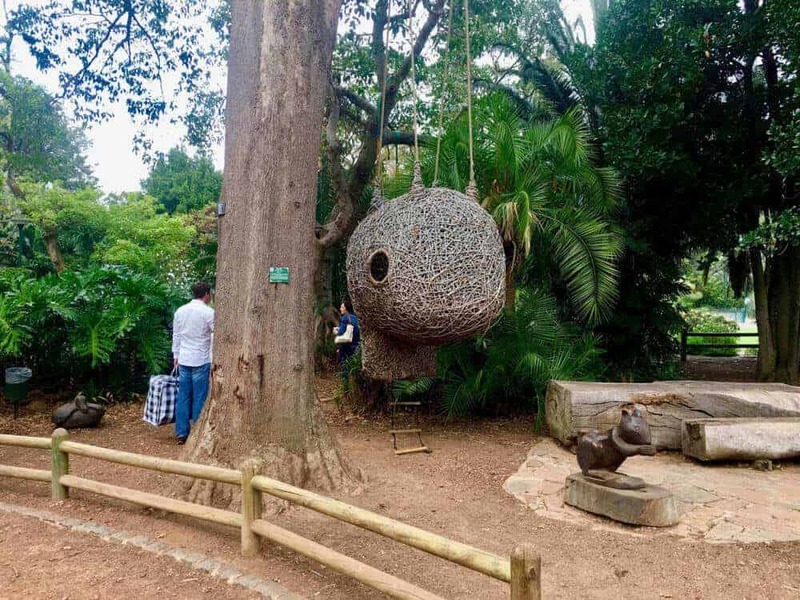 The Company’s Garden and Green Point Urban Park (Biodiversity Garden) are great for the entire family to enjoy, as are the abovementioned gardens/trails and braai spots (in ‘Tourist Attractions’ and ‘Local Experiences’ sections). Intaka Island (Bird Sanctuary), a nature reserve in the midst of the otherwise-manmade Century City likewise, offers a naturesque breather for all members of the family. This comprehensive resource can help decide which places can be enjoyed with children. You’re in good hands in this country: Rolling Rains, a traveler and advocate for worldwide accessibility travel facilities and services, applauds South Africa for catering well to the mobility-impaired. These safari guides (well-versed in their profession, with decades of experience) are especially dedicated to ensuring that the less mobile can savor all of their experience: Endeavour Safaris, Flamingo Tours and Epic-Enabled.